St. Louis, Mo. (February 1, 2019) – Lewis Brisbois’ St. Louis Managing Partner Tracy Cowan was quoted in the St. Louis Business Journal on his recent move to Lewis Brisbois. In the article, titled “Why Hawkins Parnell’s St. Louis managing partner left,” Mr. Cowan explained why joining a large firm with offices across the country will allow him to strengthen his national client base. Lewis Brisbois announced their new office in St. Louis in a press release on January 23. 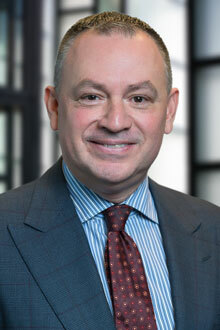 Mr. Cowan joined the firm with a team of two other partners and two associates. Mr. Cowan also discussed the future of the new Lewis Brisbois location. “The plan is to keep growing or add another practice group,” Mr. Cowan said.